We believe that something special happens when people regularly share a meal together; they become family. That’s why every Saturday Night we enjoy a meal together after the message. 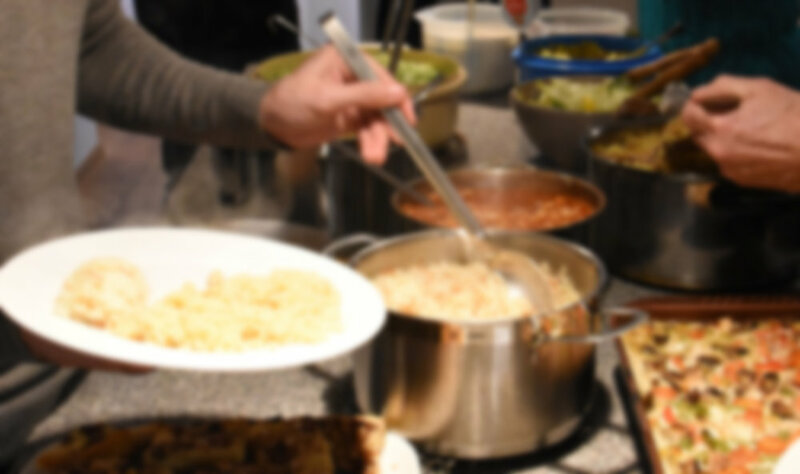 Each week, volunteers prepare a home cooked meal from fried chicken to lasagna. Sometimes we laugh, sometimes we cry, but we always grow in deeper love and fellowship with each other. Come be part of our family, we’re saving a seat for you!